Toronto hosts numerous business and professional events at any given day. A lot of attendees travel from outside of the town and many of them need reliable and prompt corporate car service. Toronto Airport Limousine is here to bridge that gap by providing the Corporate limo service to businesses and executives. Downtown Toronto is located almost 25 minutes from the Toronto Pearson International Airport, with easy access to over a dozen Convention Centres and Conference Centres just in the core area, not to mention the rest of the GTA. Toronto Airport Limo assists you in making the most of your time in the area by making your commute between all places very convenient. Whether you are arriving in a group or with your corporate colleagues, we can arrange transportation as per your requirement. Our fleet of new and reliable vehicles can cater to any of your requirements whether you are looking for a Lincoln Towncar, or a Tesla, or a Merecedes Benz or an Escalade or an SUV — we can arrange any of these as per your needs. Toronto Airport Limo provides business travelers with a reliable and professional chauffeur driven limousine service in Toronto and GTA. Our chauffeurs make every effort to ensure we provide our business travelers with a reliable, professional and a comfortable ride. If you are in the town for business purposes, Toronto Airport Limo can provide you limousines that would give you a higher socio-professional status and would leave a healthy corporate impression on your clients and competitors and peers. You can also hire us for Toronto transportation to give your employees a special treatment on occasions like job promotions or workplace Christmas celebrations or any corporate event. 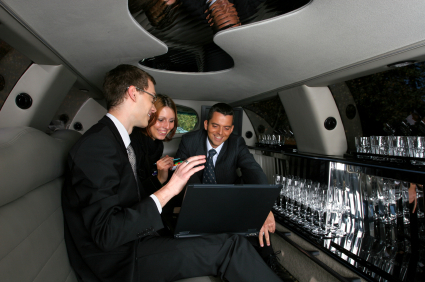 So if you have any upcoming corporate event where your status matters and you wish to create a long lasting impression on others, hire our limousine services, and leave rest all the worries to us. Whether just you or your business colleagues too need to go to the airport or be picked up at the airport, with meet and greet service, Toronto Airport Limo is sure to have service for you. We transport corporate clients to and from all major airports in the Greater Toronto Area, including Toronto Pearson International and also Buffalo Niagara Airport and Hamilton International Airport. Arrive in style and comfort and make the trip memorable and relaxing.